Actress Park Joon Geum said Lee Min Jung cried when she slapped her. Park Joon Geum confessed that she’s made Lee Min Jung cry. 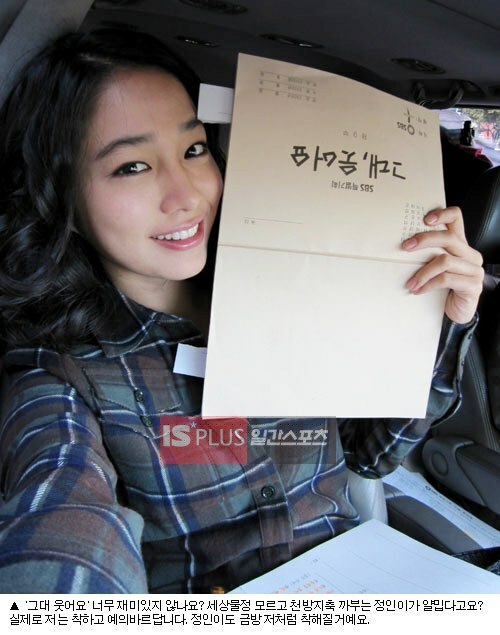 Lee Min Jung, works for screen, too… Will she be the ‘Next Box Office Queen’? Actress Lee Min Jung hit double homeruns in both drama and movie. She caught attention by her cute and lively posture in ‘Smile, Love’ and then she also stole audience’s heart by innocent and lovely charm in the film ‘Cyrano Agency’. This is more encouraging than usual because she actually defeats every men’s dream girl Kim Tae-hee to get this result. Since all of her recent main role work became all successful, she became the number one actress.